Flavius Valerius Aurelius Constantinus Augustus was Roman Emperor from 306 to 337 AD. He was the son of Constantius I 'Chlorus'. 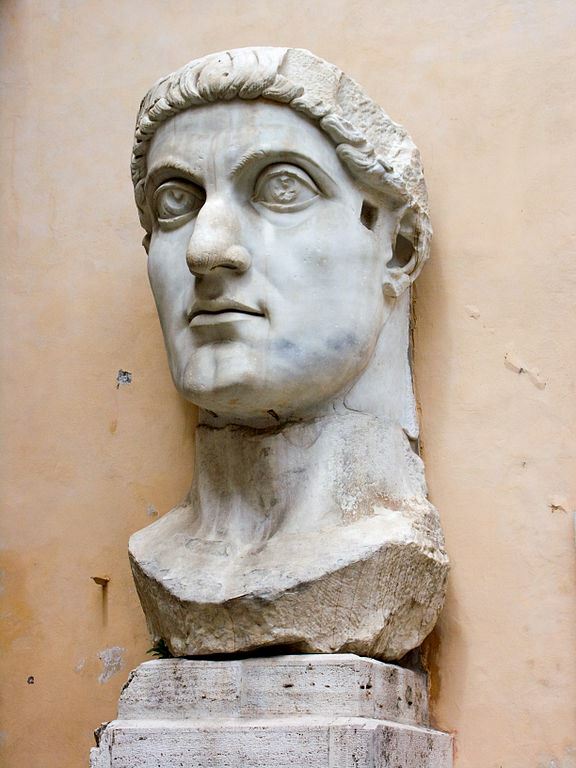 After his father's death in 306 AD, Constantine was proclaimed emperor and emerged victorious in a series of civil wars against the emperors Maxentius and Licinius to become sole ruler of both west and east by 324 AD. As emperor, Constantine enacted many administrative, financial, social, and military reforms to strengthen the empire. As the first Roman emperor to claim conversion to Christianity, he played an influential role in the proclamation of the Edict of Milan in 313, which declared religious tolerance for Christianity in the Roman empire. (13) Constantine I 320 A.D.
(15) Constantine I 312-313 A.D.
(16) Constantine I 324-325 A.D.
(17) Constantine I 316 A.D.
(18) Constantine I 307-337 A.D.
(19) Constantine I 337-340 A.D.